Amid the regular proceedings of the shareholder meetings, Cook fielded a question on the progress of "the Campus 2 project," a new, circular building that will become the new headquarters for the company upon its completion. Construction on the facility, Cook said, will require a good deal of destruction on the site where it is slated to go up. "We plan to bulldoze all the buildings on the new site," Cook said, "build one 2.8 million square foot building that will be the most collaborative work environment." The new campus will also involve a good deal of apparent land reclamation. According to Cook, 80 percent of the site is currently covered in asphalt and concrete. By the time the project is finished, Cook says that number will be down to 20 percent. According to construction timetables submitted by Apple, the company was not set to begin building the facility until 2014. Cook today, though, said that Apple may break ground on the project later this year. Construction on the new campus is expected to be completed in 2016, and Cook expects that Apple will move in shortly thereafter. "I project that we will move in in 2016," Cook said. Late Apple cofounder Steve Jobs took a hands-on approach to the design of the company's new campus. 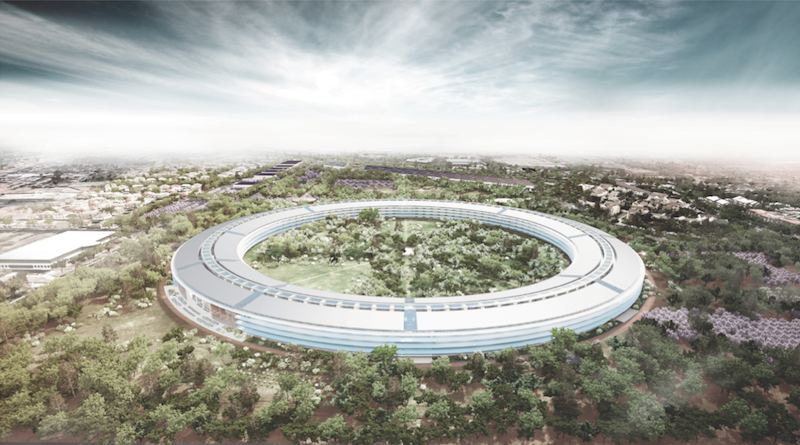 He personally revealed the designs for the facility at a Cupertino city council meeting in June of 2011. Cook acknowledged the project's importance to the late Apple CEO. "Steve put a lot of work into this before he passed away, and we're continuing that."